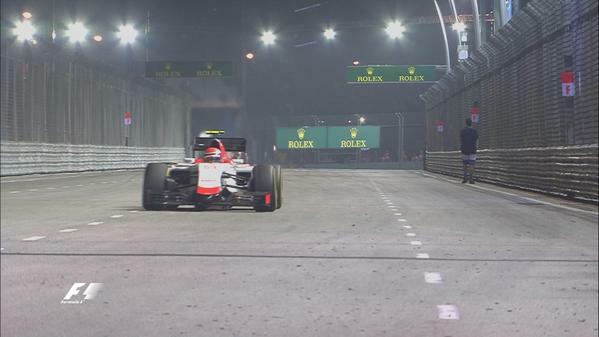 A drunk on the track in Singapore! It’s a night race! Not a night club! It seems a drunken man was walking on the track. The safety car is back. What an idiot. It might be a night race. But it's not a night club!